This handmade birthday (with envelope) card features 3 celebratory icons with a colourful confetti-like polka dotted background! 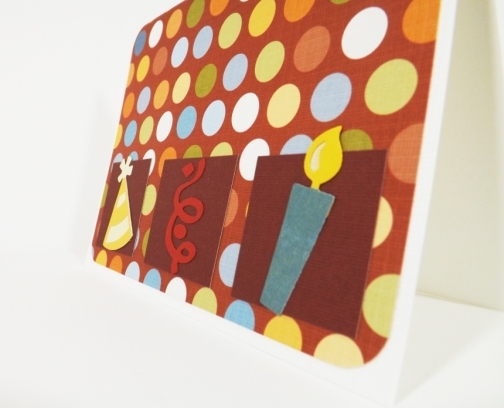 Not limited to birthdays, this card works for any celebration! Do you need a retirement card? A new year card? You got it! 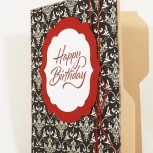 The card measures 4.5 inches x 6 inches (roughly 11.5 x 15 centimetres) and comes with a plain white envelope. The envelope has been decorated with wrapped gift sticker. 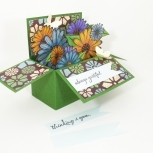 The inside of this card is blank white cardstock for your to write your message. The back of this birthday greeting card bears a shop label, signature and creation date. All materials are acid and lignin free papers.